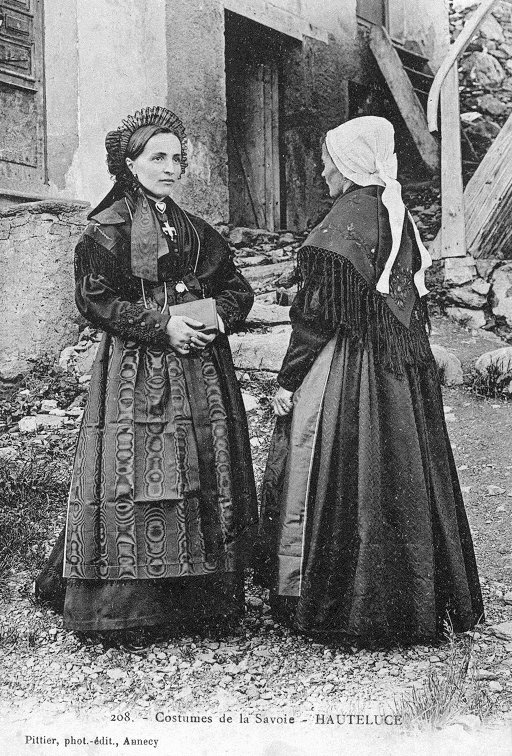 Hello all, today I will do an introduction to some of the costumes of Savouè, as it is called in the local language, a region which is called Savoy in English, Savoie in French, and Savoia in Italian. This is the territory that was held by the independent House of Savoy. The House of Savoy was established in 1003. It existed as a County [A region ruled by a Count] until 1416, then as an independent Duchy until 1714. The northern part, Vaud, became part of Switzerland in 1564, and the southern part was disputed between France and Italy between the years of 1714 and 1860 until the present borders were established. 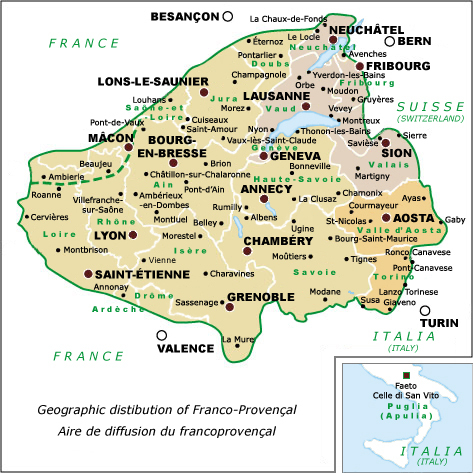 The Departements of Savoie and Haute Savoie are now in France, The Cantons of Vaud, Fribourg and Valais are now in Switzerland, and the Paese of Aosta, Piedmonte and Liguria are now in Italy. 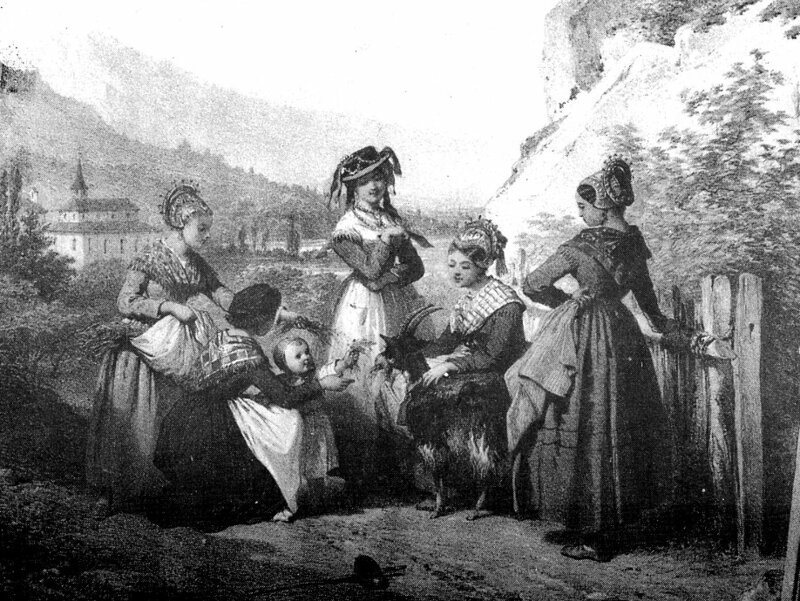 For more on the Realm and region of Savoy, see these articles. Prior to the big push in the early 20th cent. from Paris to make all of the Nation of France speak the language of their own northern region, which we now call simply French, this area, Savoie, Haut-Savoie, Vaud, Aosta and some neighboring regions, especially to the west spoke the language known as Arpitan or Franco-Provençal. This still survives to some extent, especially outside France in Vaud, Fribourg, Valais, Aosta and the northwest corner of Piedmonte. 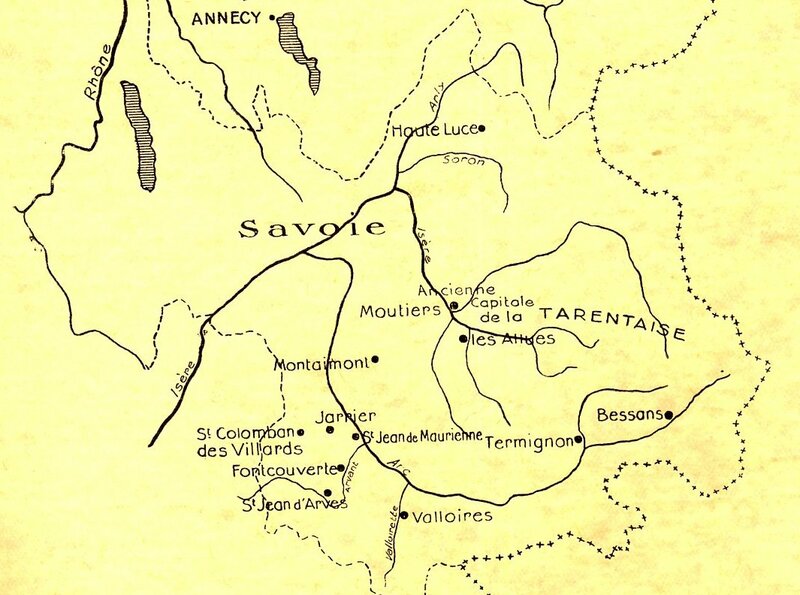 Here is a map showing the traditional regions of the French part of Savoy. I will be following these as the modern administrative departements do not reflect the traditional cultural regions. The three northern regions of Chablès, Fôcegni and Genevês are known as Upper Savoy, The three southern regions simply as Savoy. The labels on this map are in Arpitan or Franco-Provençal. 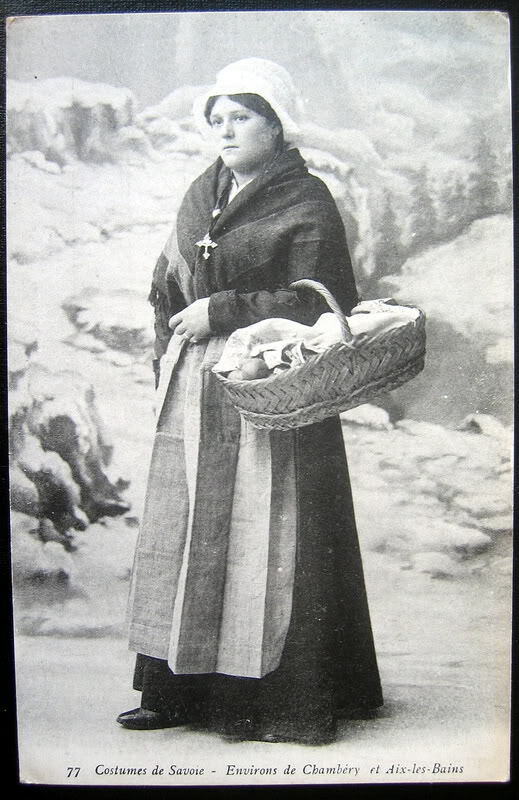 In this and the next two postings I will be focusing on the three southern regions of Savouè prôpra, Tarentèsa and Môrièna [in French, Savoie Propre, Tarentaise and Maurienne ]. I will address Savoie Propre in this posting, and dedicate a future posting to each of the other two. This region is at the Western end of the Alps, and much of it is mountainous. In such territory, regions are defined by the river valleys, and separated by the mountains. Here is one map to help understand the different regions, and one that shows the river valleys. The region in the northwest, around Chambery, shown in light yellow, is a well populated fertile lowland, and like many such regions, the folk costume either never developed, or was lost early. Here is a couple of the very few photos which I have found of the costume from this area. 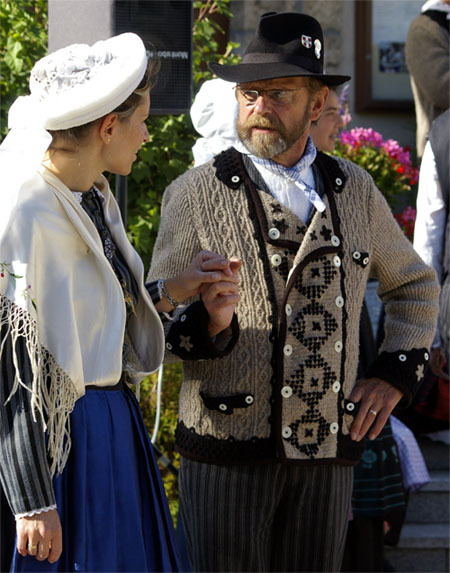 Even the folkloric groups from this area wear costumes from the highlands. 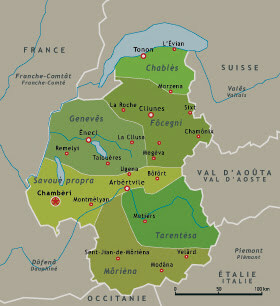 To the east of Chambery, there is a highland region known as the Bauges, shown in dark gold in the map above. I have found little from this region. 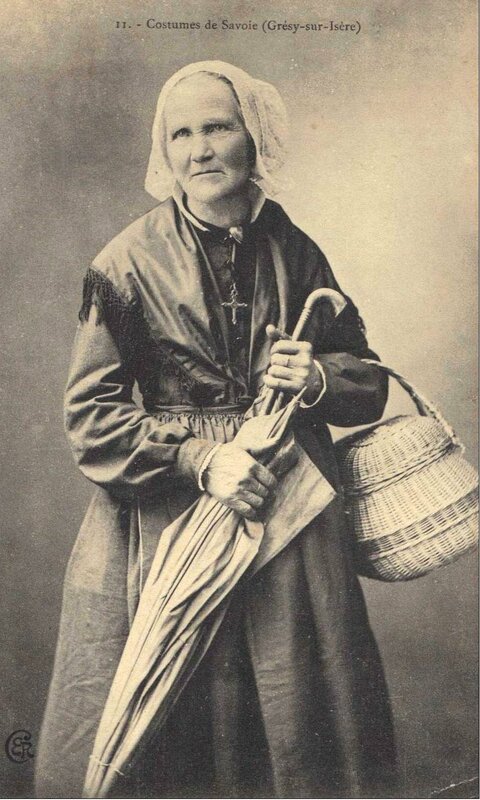 This woman is from Gresy sur Isere. 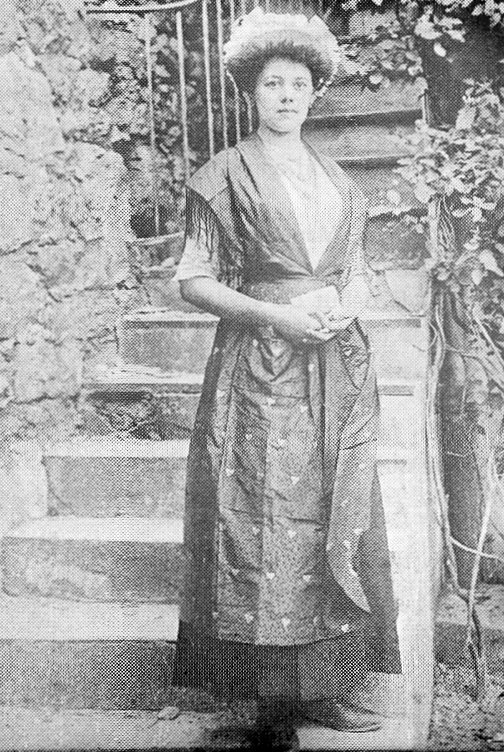 This woman is from le Chatelarde. East of this area is the valley of Arly, on the border with Upper Savoy, north of the town of Ugine. 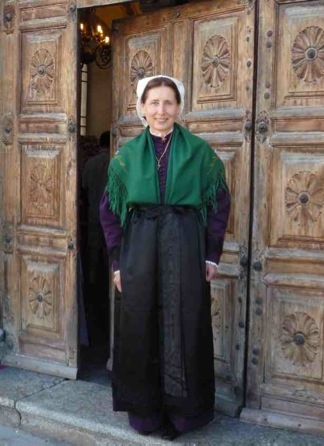 This valley still has a living costume tradition. 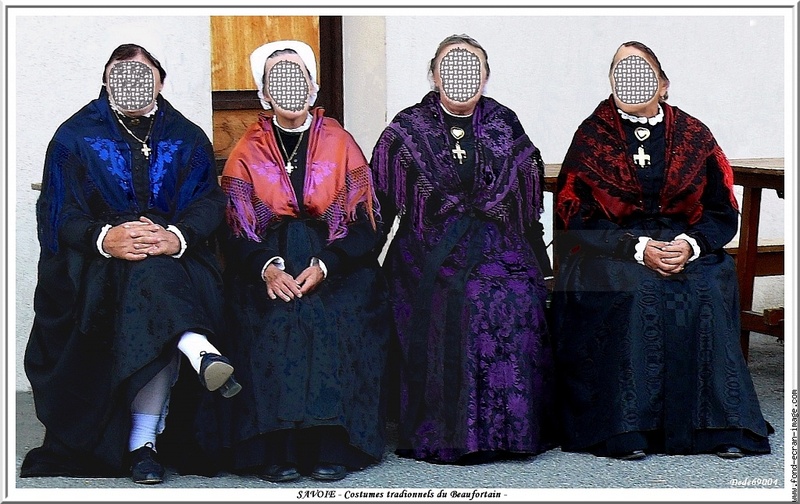 One distinctive feature of the costume is the patterned knitted jacket worn by the men. 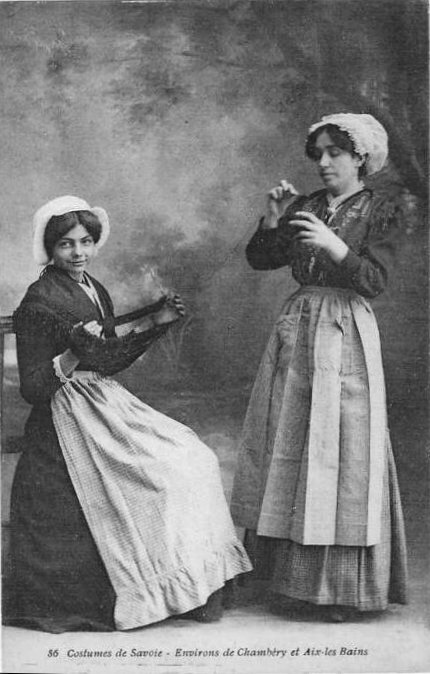 The particular coif worn by the women in this region is called the beguine. This region is south and east of the Arly valley, and forms the last part of Savoie Propre which I will cover. 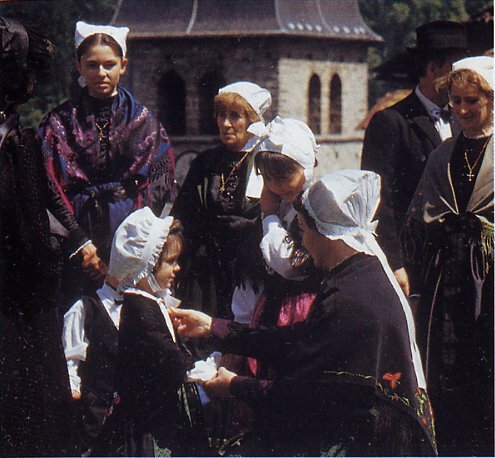 This area also has a costume tradition which is being kept alive by various groups in the area. The coif of this region is called the Berres. Thank you for reading. 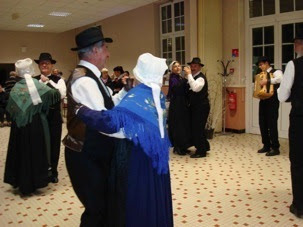 I will cover the costumes of Tarantaise and Maurienne in two other postings. I hope you have found this interesting and inspiring.